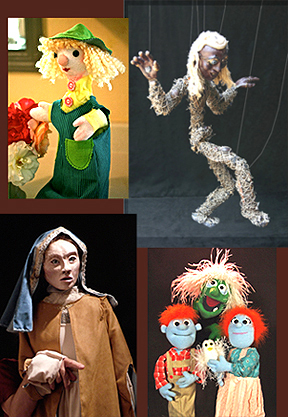 SFBAPG – San Francisco Bay Area Puppeteers Guild – San Francisco Bay Area Puppeteers Guild – Promoting the art of puppetry in the Bay Area. Promoting the art of puppetry in the Bay Area. Our membership includes many full-time professional performers, theatre artists, film- and video-makers and animators, puppet sculptors and builders, plus educators, therapists, dedicated hobbyists, youth, and just plain fans. Since 1954, SFBAPG has served the greater Bay Area. We’re a chartered Guild of Puppeteers of America, and one of the earliest, largest, and most active of the guilds. Our regular quarterly meetings, held at various locations around the Bay Area, usually involve skills-building workshops and performances as well as informal conversation and socializing. We discuss Guild business, plan activities, and share news. Members are encouraged to browse and borrow from our large Guild library of books and videos. We also collaborate in community events including puppet fairs, exhibits, and education projects. We arrange member groups to attend noteworthy performances in the region. A sizable contingent of our membership usually attends the biennial regional and national puppet festivals, and we are proud to offer some scholarship funding for this purpose. You can reach us at info@sfbapg.org.